Well, how helpful of you. Now the email from my crontab script is all in one line. That’s all fine and dandy for you, but what about your colleagues? Getting them all to do this would be a pain. 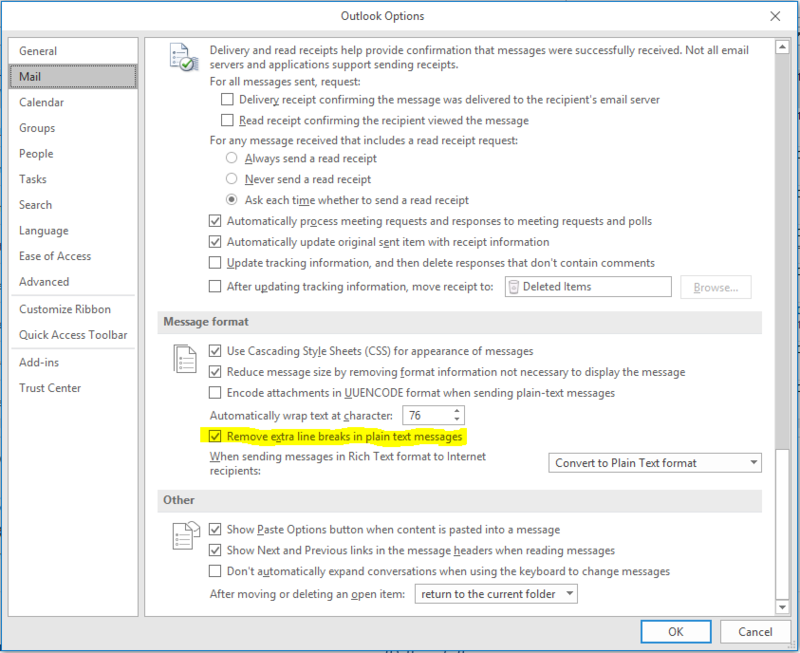 Well, Outlook has this curious idea that lines ending with three or more spaces should not have this helpful behaviour applied to them. Thus, the easy solution to the problem is to add three spaces at the end of every. single. line. It’s not as hard as it may sound. awk will do it for us. This reads every single line, and re-prints it with three spaces at the end. Outlook is now happy. 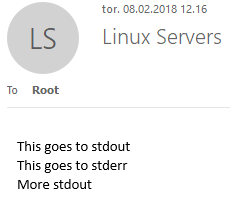 echo "This goes to stdout"
After the exec line, anything printed by your script will be sent through awk and on through stdout. Outlook will no longer try to help.